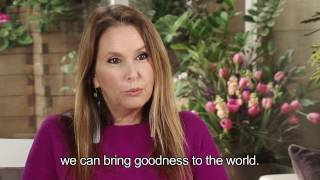 Shari Arison shares her vision and thoughts in her books and publications. Driven by her passionate aspiration to improve lives, her innate quest for morality and values-led operations, and her unique standpoint on the possibility of making a positive difference, Shari Arison's published work are an ode to her candidness and well-trodden path for positive impact. Her books have been translated into more than 17 languages and published in 48 countries. An adventure story, describing the Journey journey of a kid child named Or - A a unique journey that combines , activities and games, giving the young readers a chance to be aware of their own inner strengths.